Shine up your MINI's and come out to Culvers to hang out and show off your car. Why: Just a chance to get together, hang out, enjoy some ice cream, butter burgers, and put your car on display. This event is open to anyone… Old Minis, new MINIs, no MINIs.. Come on out and check out what everyone has done to their cars, and plan out your next mods. This years Baseball Rally will be a little different than the past..
We will be attending a Kane County Cougars game on Sunday June 5th where the Cougars will be battling with the Fort Wayne Wizards. Where: Meet up at Patrick MINI in Schaumburg. We will have more info as the date gets closer!! We are going to have to cancel the Crystal Lake Cruise Night because we have not been able to get any additional information about when or even if it will happen. If anyone has new information about about the event either way, please forward it on. The following invite was passed along from the Chicago Area Lotus Corps. Lotus Corps Presents the 2005 Carl Grabowski Drivers Education Day Monday, May 16th 2005. What a great way to have a bit of fun with your MINI if you can take a Monday off work!! While not an official Chicago MINI Motoring Club event, the Chi-Town Kruze will take place on Saturday June 4th. There will be a classic car show, and open drive on scenic Lake Shore Drive. 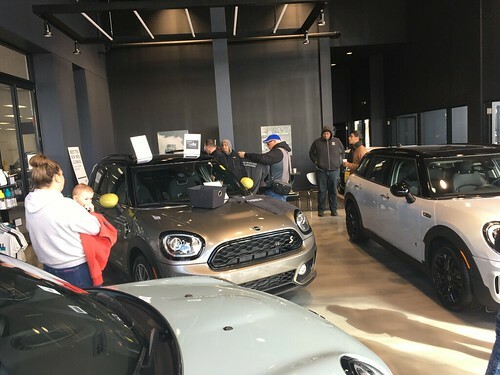 What better place to show off your MINI among a large number of car enthusiasts. If enough people are interested, we can meet at some location, and head for Lake Shore Drive en mass for a little bit of a MINI Cruise. Post here if you are interested! !